The quickly approaching Christmas Season was set against a background of welcome. Just as we were preparing to welcome the Christ Child on Christmas Day, our Home was asked to welcome a new Mother and two more Little Sisters to our community of Little Sisters here in Somerville. So on December 9, Mother Maureen arrived in Somerville from the rolling hills of Scranton. Just days earlier, we had also welcomed Sr. Patrice from our home in Enfield and Sr. Jean from our home of St. Louis, known as the Gateway to the West! The month of December and the approaching Christmas season also always brings with it a wide variety of groups who come to entertain, host parties and in others ways seek make Christmas a wonderful occasion for all here at Jeanne Jugan Residence. Not all of the cheer comes from the outside as hearts seem to be very merry and bright everywhere this time of the year and our own Residents, staff and volunteers put on a wonderful Christmas Pageant. Some of the highlights of these events were special visits by Hanscom Air Force Base and the Sheraton Hotel just to mention two! As they have done for many years, Hanscom Air Force Base came laden with gifts for our Residents on the afternoon of December 13. They arrived at our door once more, entire families including small children! In addition to bringing gifts for each of the Residents, these faithful people also come with arms laden with homemade treats, candy and soda. The auditorium was filled with song throughout the afternoon with the Residents lending their eager voices. Children joined their parents in making sure everyone had some goodies to enjoy. Then Santa made the first appearance of the season! With the help of some eager elves, everyone present in the auditorium received a gift, each of them individualized and unique. No one was forgotten and for those unable to attend a bag was left for them as well. We are so grateful to these wonderful families who always help us to launch our Christmas celebrations with their wonderful Christmas party! The following week we were happy to welcome our friends from the Sheraton Hotel who came to host a Christmas Party and Dinner right in our own auditorium. Gina Curley, our Activities Director had done a fabulous job of setting the stage for this memorable night. The décor gave the auditorium a very festive atmosphere. As the afternoon of Wednesday, December 16 was slowly drawing to a close everything was in readiness! The lights twinkled and danced on the brightly decorated Christmas tree that graced the stage. At its base, a life sized nativity scene by Thomas Kincade filled a large portion of the stage around the tree, replete with Mary, Joseph, Jesus, Shepherds and Kings. Just below the stage a large empty sleigh waited to be filled. The tables in the auditorium were set with tablecloths in alternating colors of red and green. At each place was a place setting featuring red dishes decorated with glittering silver balls. Everything was poised and ready for the excitement to come! The staff from the hotel arrived shortly afterward and quickly set to work. The auditorium was soon a bee hive of activity and preparation, humming with the sounds of voices, laughter and the clatter of dishes and serving ware as they readied everything! The sleigh was empty no longer but filled to overflowing with colorfully wrapped Christmas gifts. The Residents were soon caught up in the excitement. This is the highlight of the Christmas season and it is looked forward to by everyone in the house and tonight was no different than Christmases past! The Residents arrived early and in large numbers but because the auditorium was not quite ready they waited patiently in the Coffee Shop for their hosts to put the finishing touches to the dinner. When the doors opened, it was soon obvious our hosts for the evening had outdone themselves and everyone was about to enjoy an evening like no other! On the large screen in the auditorium a video montage was playing! Everyone was quickly transported into the past as a vintage black and white video of Danny Kay played in the background, in which he read the classic Christmas tale, “T’was the Night before Christmas” and a snow machine wafted snow into the air! Everyone found their seats and the festive ambiance soon had everyone in the Christmas spirit. A full course dinner followed as our hosts served fresh garden salad with dressing and as the salad was distributed, other servers moved throughout the room offering wine for those who wished. A luscious dinner of roast beef, twice-baked potatoes and green beans followed. In the background, the video montage continued to play, as a crackling fireside was displayed followed by the classic Christmas film, “White Christmas” starring Danny Kay and Bing Crosby. The dinner was topped off with a decadent molten chocolate cake. After dinner had been served, our hosts led a sing-a-long featuring many well-loved carols, when suddenly a hearty “Ho, Ho, Ho” rang out alerting all to the arrival of a very special guest, Santa Claus! With the help of his eager elves, he distributed a gift to everyone present. More caroling followed and no one needed any encouragement to join in as song reverberated throughout the hall! The evening came to an end much too quickly but left us with many warm memories and it certainly was an evening to remember! A couple of years ago, 2013, we had the joy of welcoming several Franciscan Postulants, young men taking their first steps toward becoming a Franciscan brother or priest, to our home. For several months they volunteered their time before leaving to continue their formation. This fall we had the joy of welcoming one of them, Brother Jay back to our home. With several months between his arrival back in Boston and his beginning his studies at St. John’s Seminary in January, Brother Jay came to volunteer and once again used his talent to organize our Christmas Pageant. The pageant played out before a full auditorium on the afternoon of December 17. We were delighted to also see several staff members as well as volunteers had joined together with the Residents in order make this familiar and much loved story of Christ’s birth come alive for us once more. 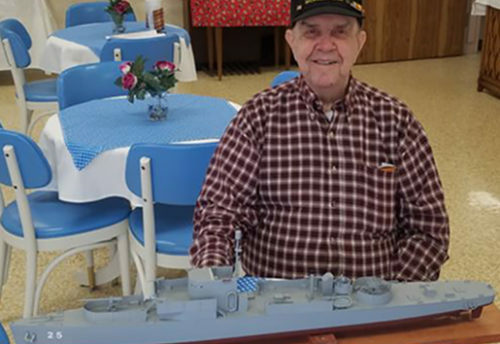 On the evening of December 22, the staff on Our Lady’s Unit, Third Floor put all their hearts into their efforts to bring a bit of extra Christmas cheer to the most infirm of our Residents as they organized and hosted a party held in the Third Floor Dining Room. With the help of our Activity Director, Gina Curley, Mike Marshall, one of our Maintenance staff, agreed to play Santa and pay everyone a visit. The Christmas tree decorated with red and silver ornaments, its light filling the room, was moved further into the Dining Room for the party. A large Infant Jesus rested in a manger before the tree. Maureen Burke brought her violin and joined with Marie Lapuz-Lucero who played the piano for this evening’s entertainment. The rest of the staff, nurses, and aides as well as the activity staff were decked out in Santa or Elf hats adding a whimsical touch to the entertainment that followed and everyone joined in singing along! The staff had all contributed to a fund in order to buy each of the Residents a small gift and suddenly as the song continued to flow Santa appeared and distributed the gifts to the eagerly waiting Residents. 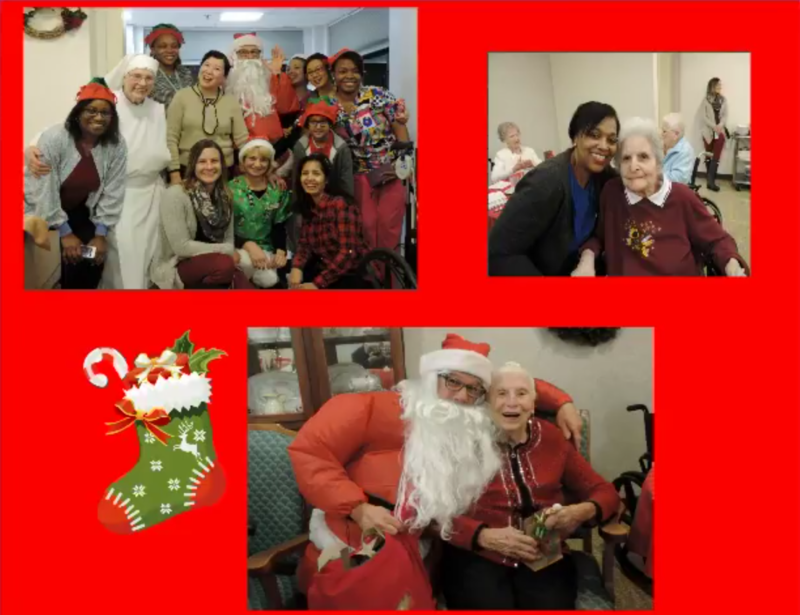 The smiles that filled the room were proof the staff had accomplished what they had set out to do, to bring a bit of Christmas joy to the elderly they serve! Lastly, the arrival of Christmas Eve made us aware that Christmas was finally upon us! On the afternoon of December 24, we gathered together as a family to celebrate Christ’s coming in our auditorium with our annual Christmas Party. Since a number of the Residents were leaving to celebrate with family, gifts were distributed on each of the Residents’ floors. Thanks to the generosity of so many of our friends and our benefactors, local Church communities and individuals alike, each resident had a bag filled to overflowing with gifts! Despite the fact some had left already to visit family members, we still enjoyed a festive sing-a-long and the Sisters helped to serve some refreshments which helped to put everyone into the Christmas spirit! Later that evening our chaplain, Rev. David White celebrated Mass in our chapel at 7:30 p.m., officially marking the arrival of Christmas! Mimi Crane, a Resident on the 5th floor, St. Holy Family Unit, carried the statue of the Christ Child to the stable and gently laid him in his waiting manger. Again, thanks to the generous gifts given by our benefactors, we had poinsettias in abundance. Bright red and white poinsettias surrounded the Crib and filled the sanctuary with an abundance of color. After the celebration of the Eucharist we gathered in our second floor patio to wish one another a very Merry Christmas and to share some cookies and hot chocolate! Our celebration continued the following day on Christmas! 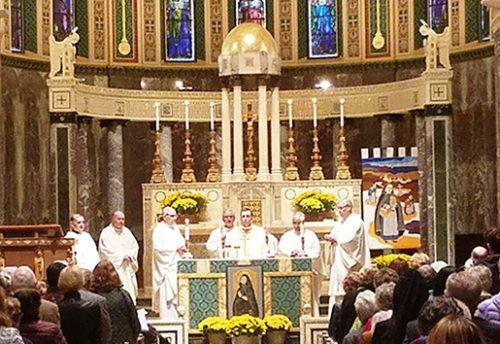 At our Eucharistic celebration that morning, we were happy to have four priests concelebrate, in addition to our chaplain, Rev. David White, Rev. James Flavin, Episcopal Vicar for the Central Region (Boston) was our main celebrant. He also is the nephew of Robert Trecartin, one of our 4th Floor Residents., Rev. Robert Blaney, Director of the Clergy Personnel, and son of Mary Blaney on the 4th Floor and Rev. John Collins, C.Ss.R., son of Helen Collins who resides on the 5th floor, were also present on our. Their presence certainly added to the solemnity and joy of our celebration on Christmas Day! Later after enjoying their Christmas Dinner, the Little Sisters sang Christmas Carols on the various floors. Beginning on the 5th Floor and moving from room to room, the Sisters sang many of the beloved carols and some popular Christmas songs as well as they made their way along the halls. In addition to singing, the Little Sisters came ready with a sweet treat for anyone who wished, offering cookies and apple cider or eggnog. The afternoon passed much too quickly and all too soon the sun was setting on another Christmas but one made memorable and to be cherished by the love we experienced during these days! 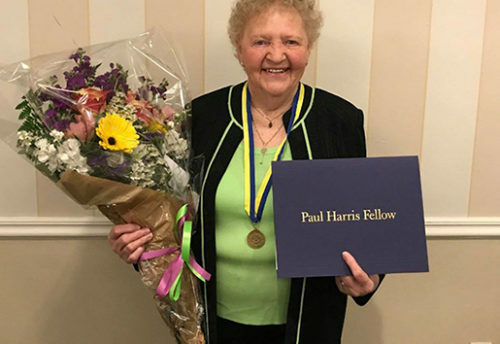 Sr. Marcella celebrates 70 years with LSP! In Thanksgiving for 150 Years of the Little Sisters in the U.S.A. Copyright © 2018, LSOP Boston. All Rights Reserved.